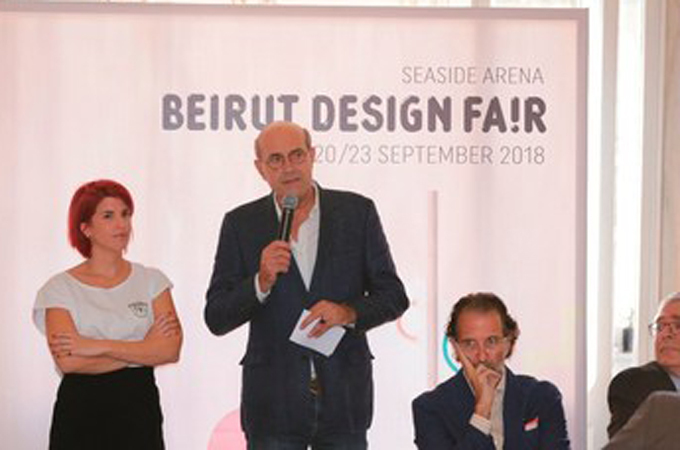 Beirut Design Fair has announced the holding of its second edition at the Seaside Arena (formerly BIEL) during September 20-23, 2018. A VIP opening ceremony is set for September 19. The event builds on the remarkable success of its first edition in 2017 which witnessed almost 17,000 visitors, a number expected to exceed 20,000 this year, a statement said. Hala Moubarak, co-founder and head of exhibitors relations, said: "Beirut Design Fair's first edition, in 2017, was of a Lebanese character, but the strategic objective is to also exhibit works from galleries and designers from all over the world, with both local and international designs emanating from creating unique pieces of products and furniture. Hala Moubarak said: "In addition to providing 'SpotOn!' opportunities for young talents, Beirut Design Fair activates the relationship between design and manufacture, thus promoting a microeconomic ecosystem of its own with spillover into the country's macro economy, let alone ramifying positively into the social sphere." Guillaume Taslé d'Héliand, founder and fair director, said: "When we embarked on Beirut Design Fair, we did it out of our strong conviction that Beirut was in the process of imposing itself as the platform, indeed the hub, of design in the Levant and the Middle East by virtue of the community of Lebanese architects and decorators being all there, and presenting the fair with both a leverage and a support.